The views from Heavenly Ski Resort Lake Tahoe are, well, simply heavenly. The skiing is pretty phenomenal too. This Momma Frog already captured our family's upcoming holiday photo on our most recent trip! (Hop tip: Be sure to have your camera ready to capture that perfect family pic before you get to the top of the lifts.) 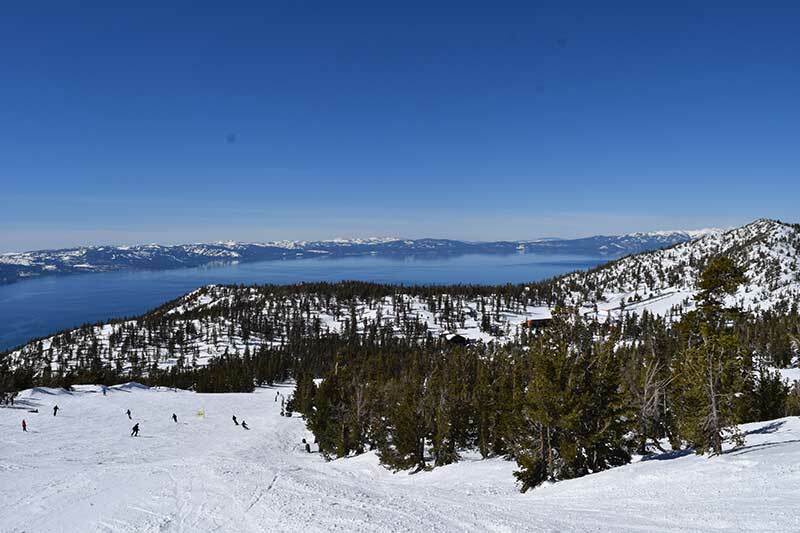 But seriously, as we looked out over the gorgeous blue waters of Lake Tahoe and the snow-capped mountains surrounding it, we could not believe how lucky we were to be skiing in paradise. And you can too. But Heavenly is a big resort. 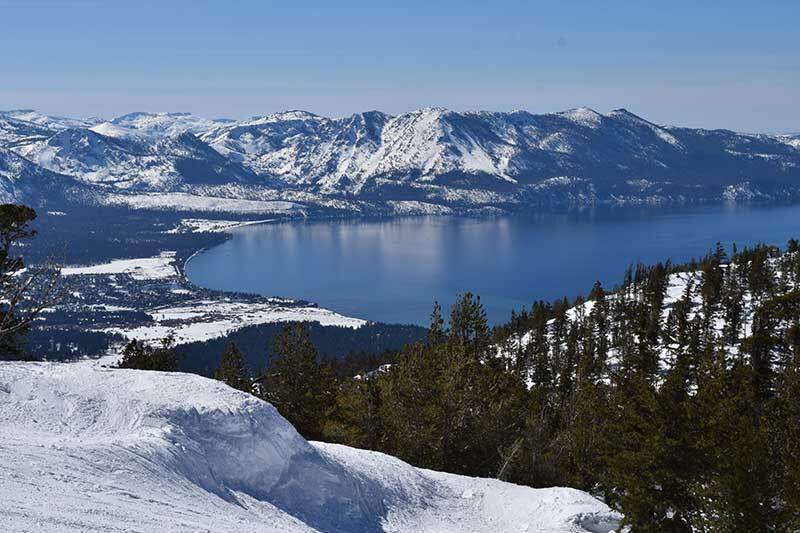 It helps to know the best areas to ski on this mountain, which happens to straddle the dividing line between California and Nevada in South Lake Tahoe. You’ll hop back and forth between the two states throughout the day! Plus, you’ll definitely want to know where to stay, the best location for lessons, and where to start and end your ski day. If you are planning a first trip to Heavenly, or are looking for some tips and tricks for your return visit, then read on for our guide to Heavenly to maximize your day and get the most from your visit. Heavenly is part of the Vail ski resorts. Lift ticket prices vary based on the day, with holidays and weekends costing more than weekdays and less-busy times. Online purchases for multi-day, advance purchase lift tickets are less expensive than single-day tickets at the window. You will get the best price on lift tickets by buying in advance. The best deal is to buy an Epic Pass the spring, summer or fall before the ski season begins. The 4-day, 7-day and unlimited Epic Passes do not have blockout dates and make it so you are not subject to peak holiday pricing if you are skiing between Christmas and New Years or Presidents Day weekend. 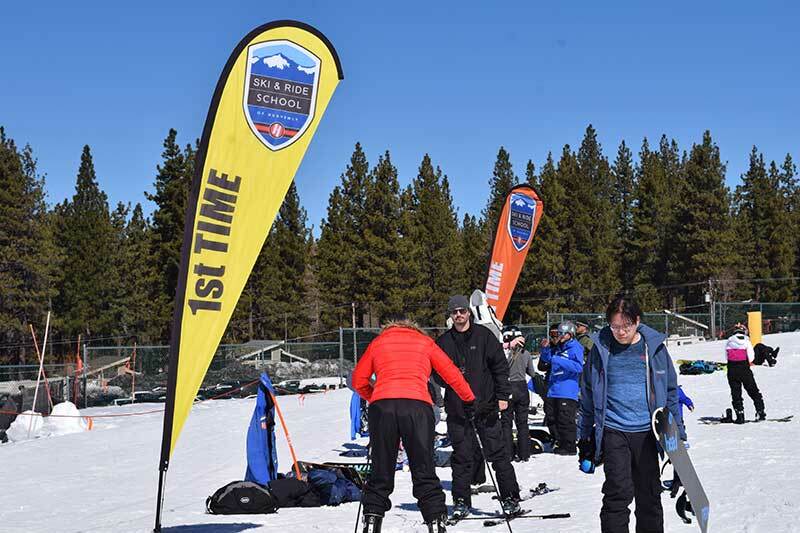 The great thing about Epic Passes is that they can also be used at Northstar and Kirkwood, which are two other amazing Lake Tahoe ski resorts, as well as several great Colorado and Park City, Utah ski resorts. The Epic Pass can be split across multiple ski trips, so if you know you’ll be skiing a few times, it is definitely worth it. A great way to save on lift tickets is to bundle them with a discount hotel stay through Undercover Tourist, but be sure to add the lift tickets at the same time as you book your room. If you did not get an Epic Pass before the ski season started and you missed out on bundling the tickets with lodging, the next best way to save is to purchase multi-day lift tickets more than seven days in advance. If you miss that window, then buy online at least three days in advance. 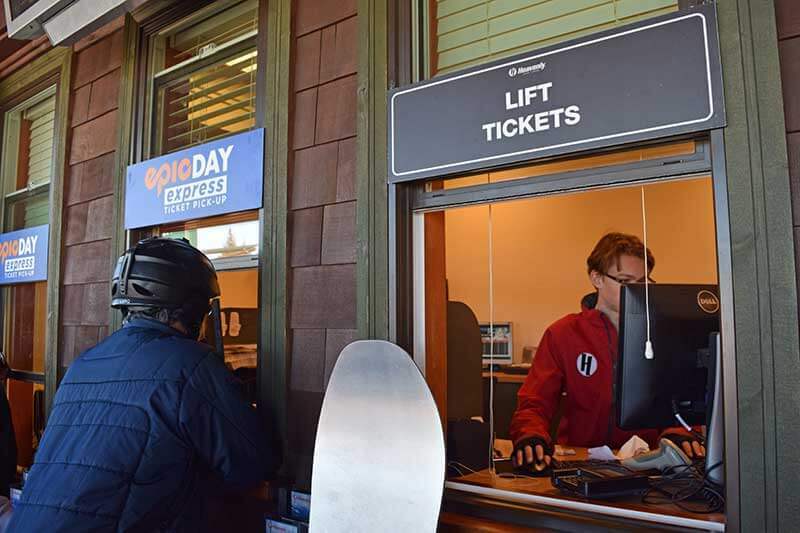 The most expensive way to purchase lift tickets at Heavenly is to purchase a single day lift ticket at the window. If you purchase a three-day or longer Heavenly lift ticket, you can also use it to ski at Kirkwood and limited days at Northstar. Each of those resorts is about an hour away from Heavenly, and they are both great family ski resorts. If you have a ski lesson, you can usually add a lift ticket to the lesson package at a fraction of the lift ticket cost if purchased separately. Hold on to Epic Day lift tickets, which are plastic cards you keep in a pocket. Year after year, if you purchase online from any Vail-owned ski resort, you can add the lift tickets to your card by typing in your ticket number off the card, allowing you to head directly to the lifts when you arrive without having to wait in lines to pick up the tickets! (If you follow our blog, you know we love skipping the line!) Lift attendants have scanners that can read the cards through your pockets so you can keep it safely put away in a pocket without a cellphone or credit cards. Another thing to be aware of is that the Heavenly lift ticket includes the gondola from the village, which is located right on the city streets of South Lake Tahoe. 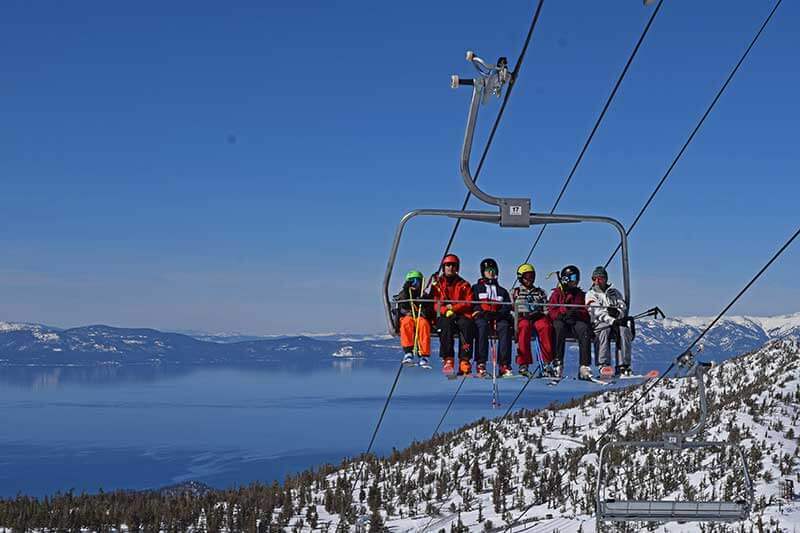 The gondola accesses a scenic viewpoint (on the way up) and the fun family areas of Heavenly at Tamarack Lodge and Adventure Peak, such as the tubing hill (more on that in what not to miss below). If you do not have a lift ticket, you can purchase a one-time lift ticket for the gondola if you want to access Tamarack Lodge. 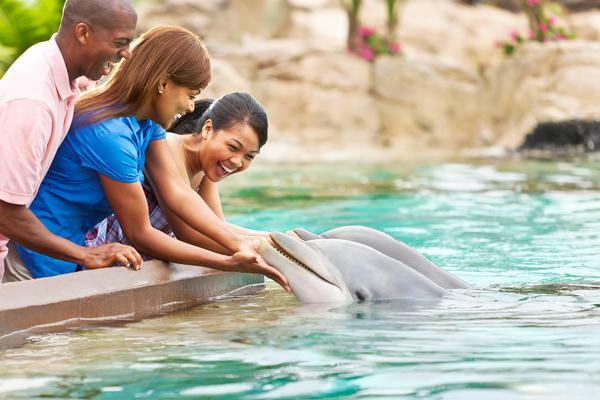 The price may vary for a one-time, round-trip scenic ride throughout the year, but on a weekend Saturday in March, the ride was $61 per adult and $37 for ages 5 to 12. We recommend visiting on a day when you have a lift ticket to access that area for no additional charge. 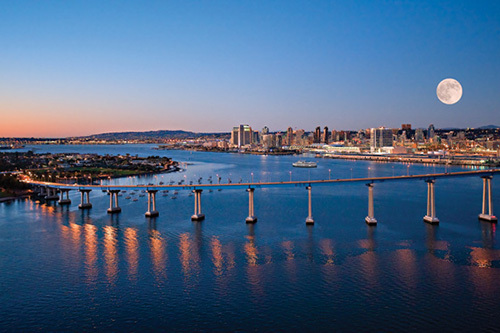 You’ll want to reserve your rentals in advance to save money. Heavenly has rental locations next to the gondola, California Lodge, Stagecoach Lodge, The Boardinghouse and Boulder Lodge. For guests staying at the Lakeland Village by Heavenly, there is a rental shop right in the lobby. You can even have your rentals delivered to you and leave them slope-side when you are done! (If you like saving money, Undercover Tourist now has discounted equipment rentals for Heavenly.) You can pick up your rentals in the morning or after 3 p.m. the day before you need them for no extra charge to save time in the morning. 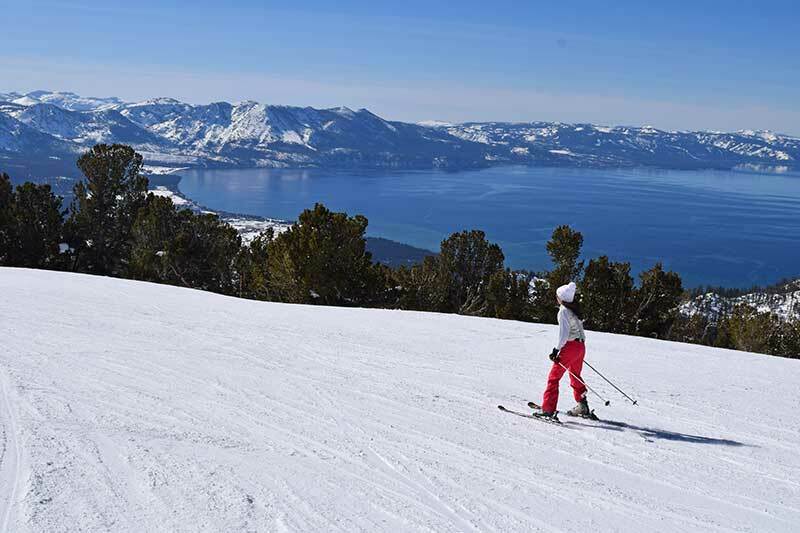 Heavenly Ski Resort offers a variety of ski lessons. You’ll want to book in advance, especially if you’ll be skiing at peak and holiday times. There are three lesson locations (gondola at Stateline, California Lodge in California and Boulder in Nevada), and we have our definite favorite. If you include equipment rentals with the lesson, the technicians will fit your tadpole in their gear after you drop them off — we love this! We love the ease of drop-off and pick-up for kid full-day and morning lessons at the bottom of the Heavenly gondola, which is centrally located in town at the Heavenly Village. Afternoon half-day lessons meet at the top of the gondola — allow 20 to 30 minutes to ride to the top so you don’t miss the lesson. Hop right in line! You can skip the gondola line if you are in the Ski and Ride School! Once you drop the tadpoles off at the gondola, the instructors will get them their rentals, and then you can hop on the gondola to ski all day and return to pick your tadpole up at the bottom of the gondola. The school feeds them lunch and will keep the rental equipment overnight if you have multi-day lessons. When you add a lift ticket onto a lesson, it saves money over buying a lift ticket separately. It just doesn’t get any easier than that! Plus, you end your ski day near fun shops, restaurants and activities so that you can enjoy some family time and swap ski stories. Besides convenience, the top of the gondola offers a beginner lift that accesses easy, green runs perfect for new learners, and nearby blue squares for skiers and boarders who are ready to progress. 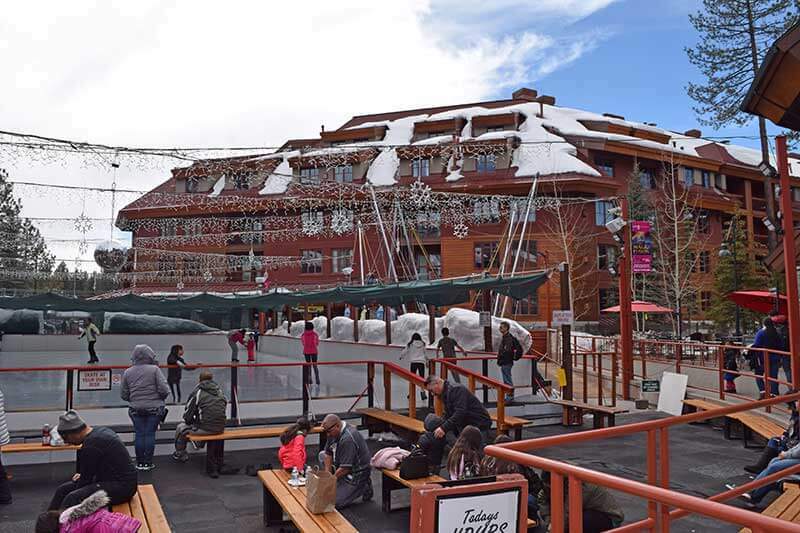 That is why we recommend the gondola location at Heavenly; plus, it is much easier to get back to the centrally located gondola than to the other locations for pick-up in the afternoon — we’re all about saving you time and effort, parents. At the California Lodge, you can find several beginner areas at the base (complete with magic carpet surface lifts) and the top of the aerial Tramway and Gunbarrel Express lift. The nice part about these areas is that you can learn to ski without faster, more advanced skiers plowing through, and there are also some nearby blue intermediate runs for when you gain confidence. Take the Powderbowl lift to access some longer, easy runs. If your lessons are at Boulder, check in at the Ski and Ride School sales office. The lessons are in the Boulder Learning area. Boulder has a magic carpet, but it is further from town, and there's not a really easy way out of there to access the rest of the mountain for beginners who want to tackle some slightly more challenging terrain. So unless you are staying close to that location, hop to the gondola or the California Lodge when you branch out on your own. There’s a lot to consider when deciding what kind of snowboard or ski lessons you or your kids need. There are half-day and full-day group or private lessons, and even on-demand lessons you can grab on the mountain. Let’s say you are feeling frustrated in the middle of the mountain. 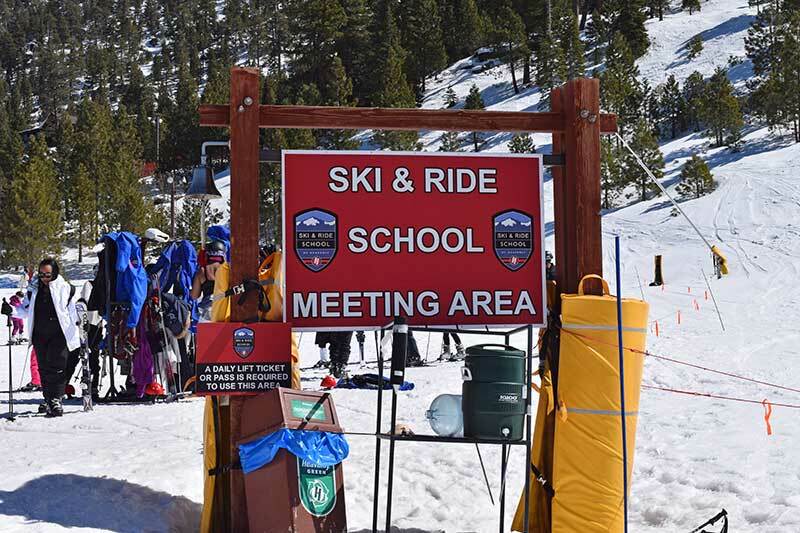 Look for an on-demand kiosk at Ski and Ride School locations on the mountain and at bases to grab a quick lesson for a very reasonable price. Work though your issues and get a jump on making it a great day on the mountain! Toadally cool! If someone in your group has physical or cognitive disabilities, definitely look into adaptive lessons. If you are new to skiing, take advantage of first-timer and second-timer lessons. With lesson prices and lift tickets, the price is very similar to a one-day lift ticket, making the lessons almost free (and yet so valuable). 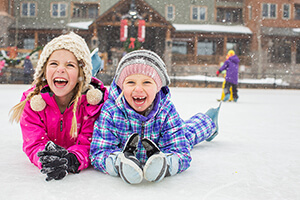 Heavenly offers childcare for children 6 weeks to 6 years old, and its site says up to 12 years, which is not something you can find at every ski resort. Usually the ski resorts that offer childcare only take babies and small children. But if your 8-year-old is toadally over skiing and you aren't, this may be a great option. Heavenly offers daycare for babies and optional ski components for 3- to 5-year-olds. It has half days or full days and is open from 8:30 a.m. until 4 p.m. You can also reserve a nanny for the day. Make childcare reservations at least two days in advance, and be sure to take a look at the 24-hour cancellation policy. Childcare is located at the California Lodge. Where should you stay in South Lake Tahoe? 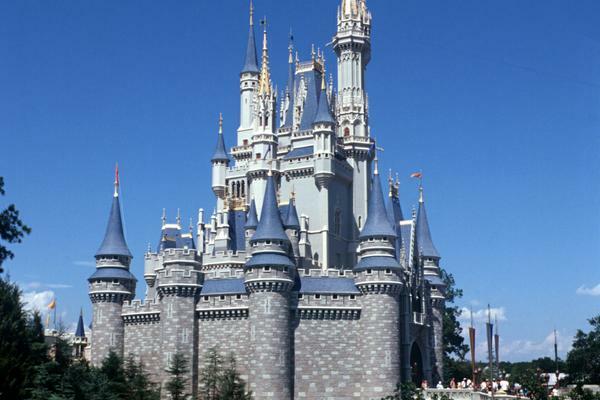 There are a range of lodging options to choose from, depending on your needs. There are motels and hotels, casino hotels (on the Nevada side), condos and house rentals. You might want to stay near the village so you can access family entertainment and make your day super easy by walking to the gondola, lesson drop-offs and entertainment. 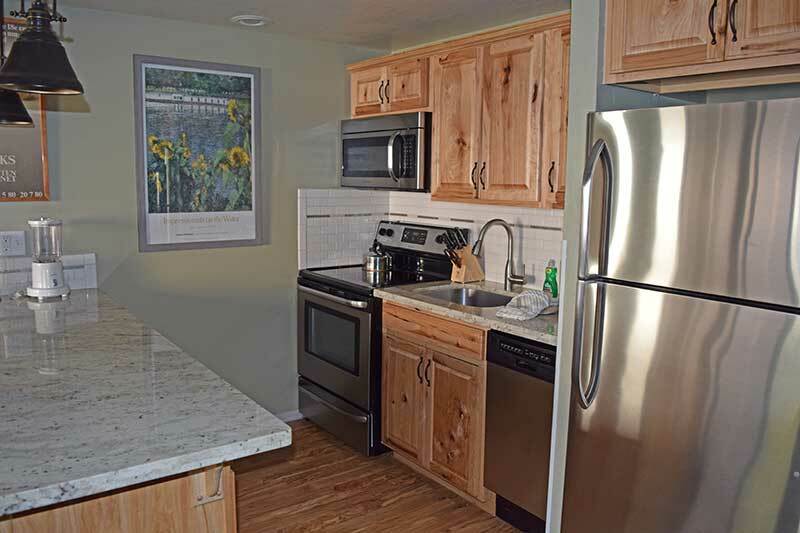 Or, you might want to save money on lodging by going a little further from the ski hill while gaining extra space, a kitchen and maybe even a free shuttle service. Perhaps you want to be on the lake? There are two major Heavenly properties — Zalanta and Lakeland Village by Heavenly. 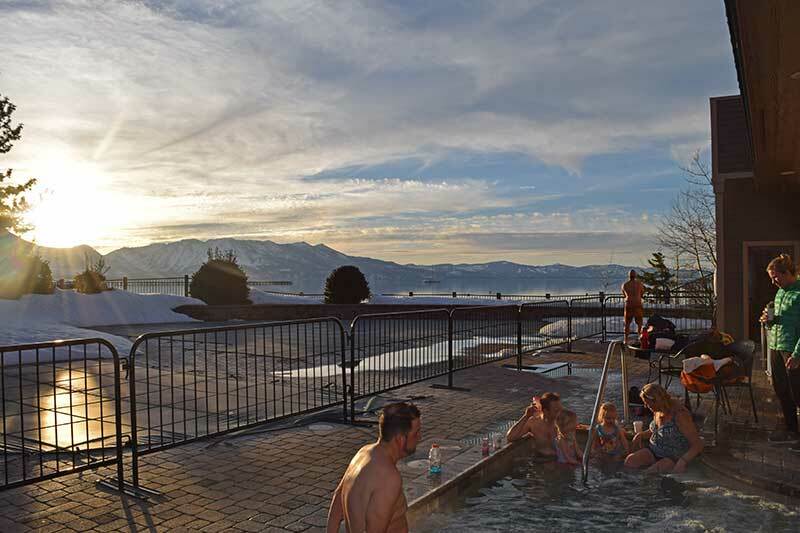 Both offer heated outdoor pools and hot tubs, as well as perks such as first tracks. On Sundays, guests of these properties can meet at the base of the Sky Chair at 4 p.m. for a special opportunity to ski with resort employees to a lodge for a free drink and appetizer after the resort closes. Zalanta (as low as $353 a night) offers luxury condos (two to four bedrooms) with fully-stocked kitchens, directly across the street from the Heavenly Village gondola. Zalanta might make a great location for an extended family trip or to share with friends. 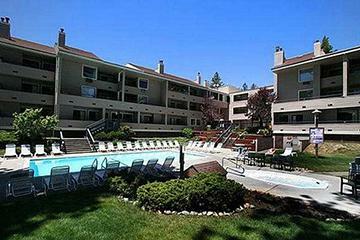 It is conveniently close to entertainment, shopping, skiing and casinos. Be sure to ask about the courtesy vehicle ride service! Lakeland Village (as low as $137 a night) is further from the mountain, but also has spacious rooms and condos, from studios up to five bedrooms plus a loft. It is located right on the lake, so if you can get a lakefront location, definitely spring for it. Some of the smaller rooms in the lodge are closer to the road and have some traffic noise, so opt for an interior location or lake view for a more peaceful environment. It is a more affordable choice, but some units are on the older side. It is within convenient distance to drug stores and grocery stores, so that you can easily get food to cook meals in your full kitchen (saving you some green!). It has a private beach and dock, perfect for taking in the breathtaking views. You can take the free shuttle to the ski resort (California Lodge or gondola), or any destination in town, but sometimes you have to wait a bit. 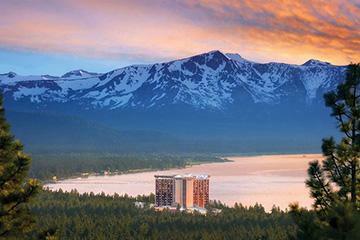 In terms of hotels, the Lake Tahoe Resort Hotel (as low as $106 a night) is near the gondola and village and offers free breakfast, microwaves, fridges and sinks. It has an indoor pool and hot tub. If you book early, you might be able to book the two-bedroom, two-bathroom suite! The casino locations have a more adult feel to them. The Montbleu (as low as $400 a night) has a casino and is located at the state line a few blocks from the Heavenly gondola. 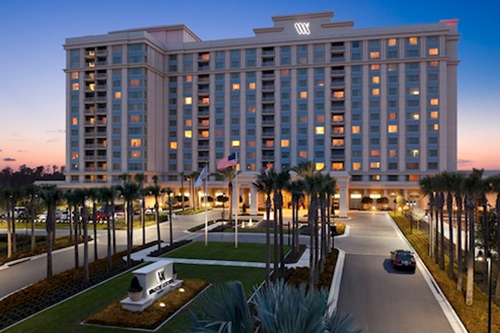 It offers on-site dining, an indoor pool and lake views from some rooms. The Hard Rock Hotel & Casino (as low as $100 a night) is located a few blocks from the village and allows you to easily get some gambling in at night. 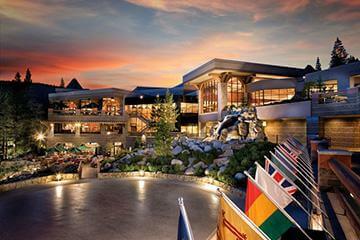 There are many other hotel options in the area, as well, such as the Marriott’s Timber Ridge, which has many kid activities on-site and is next to the gondola. It is near Grand Residences by Marriott, which is on the other side of the gondola. Keep in mind that if you stay at the Heavenly Village, you may be subjected to noise from bars or or traffic. 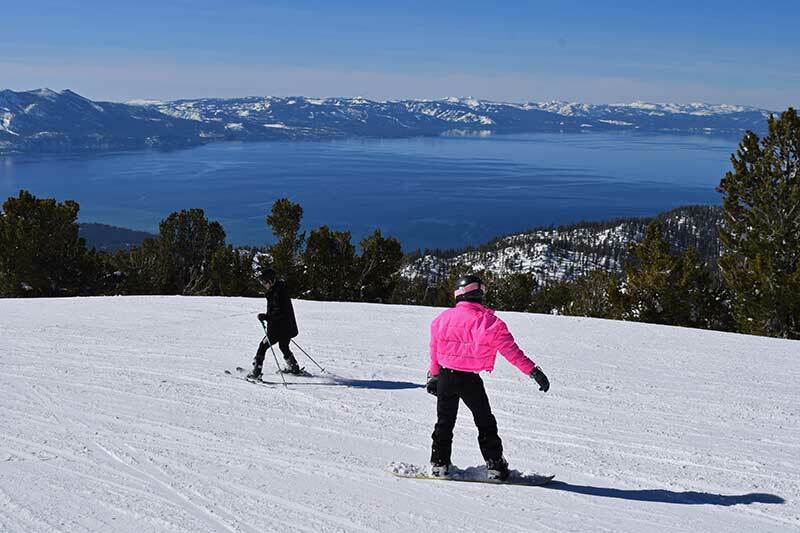 If you are open to driving, many people stay near one ski resort in Lake Tahoe, but take a day to try out another Lake Tahoe family ski resort. You might visit Heavenly one day while staying in North Tahoe at the lovely Resort at Squaw Creek (closer to Squaw Valley/Alpine Meadows and as low as $198 a night), then make the drive to Heavenly, which is about an hour with no weather conditions. Wherever you decide to stay, you'll want to book early to get the best units and the best prices. 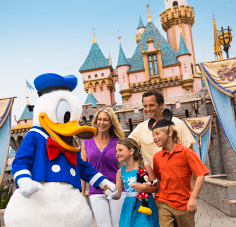 Don't froget, Undercover Tourist can help you save on your family ski trip. You can book your ski hotels near Heavenly and South Lake Tahoe. At the time of booking, you can bundle discount lift tickets and add equipment rentals or a rental car to get a jump on even more savings! Will you be driving from home or flying to South Lake Tahoe? Reno-Tahoe International Airport is the closest airport and is about 40 to 60 minutes away from some locations. 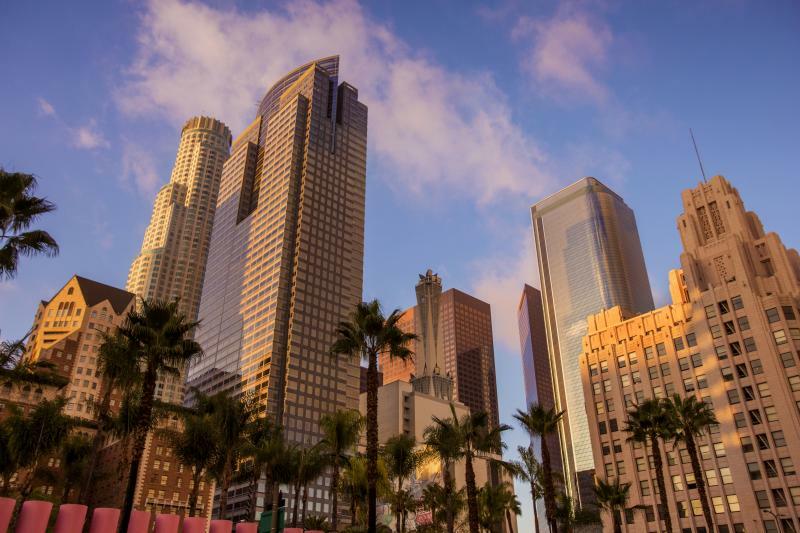 Depending on where you live and when you are flying, you might find more direct flights into Sacramento, which is about two to two and a half hours away from many locations with good road conditions. If you are able to fly in early in the day, be sure to bring your boarding pass and ID to the ticket window for free same-day arrival, half-day lift tickets. There are airport transportation services to take you to South Lake Tahoe if you do not want to rent a car. If you are driving to Heavenly, you can find free parking at the California Lodge, Stagecoach Lodge and Boulder Lodge. There is paid parking at Heavenly Village at the parking garage — but the location is super convenient. There is also a paid lot behind Raley’s next to the village, and you may be able to find street parking. The earlier you arrive in the morning, the better and closer the parking options. If you have to park far away, catch a shuttle. Bring your wallet if you want to eat lunch at the ski lodges and bases. Ski resort cafeterias are not known for being bargains at any ski resort, but we were surprised by the cost of basic foods at Heavenly's on-mountain restaurants, so we took a trip to the grocery store and made our own lunches for the rest of the trip. We filled our pockets with healthy foods, which stayed fresh due to the cold air. You can fill up with water for free at the ski lodges, so stay hydrated! That being said, we liked the vibe at the Tamarack Lodge, where you could dine inside or out. On a nice day, it would be perfect to kick back in an Adirondack chair and enjoy the sunshine while the kiddos play in the snow. Toward the end of the day, you can have some drinks during après up there or take the gondola back to the village for a variety of après ski hangouts with live music or drink specials. Fire + Ice at the Marriott Timber Ridge has happy hour drink specials, and if you get hungry at the end of the ski day, hop in for its Interactive Grill Bar, where you can customize your meal and the chefs will cook it up just the way you like it right in front of you. Be sure to hop in before 4:00 p.m. for the best prices (before dinner pricing kicks in). 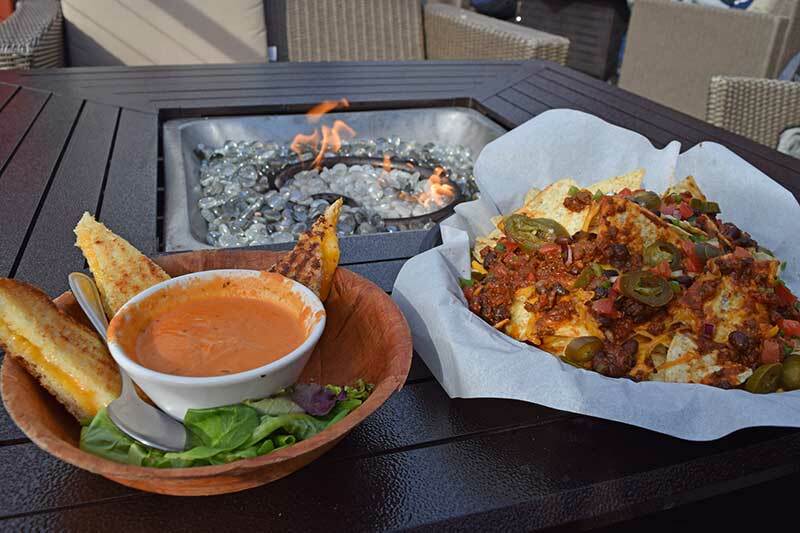 We enjoyed chilling around a fire pit at the Village Bar & Grill with some grilled cheese dipped in tomato soup, bison nachos and happy hour beer. The kids can color while you wait for the goodies to come out. 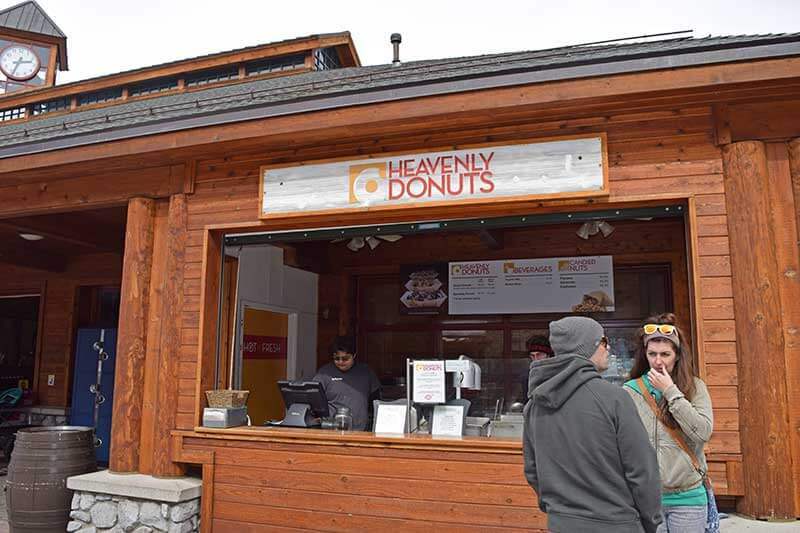 If you are need of a sweet treat — after all, you earned it after a day on the mountain — you can get Heavenly Donuts cooked up fresh at the base of the gondola, or hop over to the many village shops such as the Rocky Mountain Chocolate Factory, the Nestle Toll House Café, Rocket Fizz candy shop, or Cold Stone Creamery for ice cream. Heavenly Ski Resort averages more than 350 inches of snowfall each year, and has 28 lifts and 97 runs. We found Heavenly to be a friendlier mountain for skiers than for snowboarders due to the terrain. Snowboarders can still have a great time, but there is a lot of traversing to get from area to area, and flats are no bueno on a snowboard. It is a great mountain for intermediate skiers, with a lot of blue square runs. The green runs are fairly isolated from each other and it would be difficult for a beginner to move about the mountain to explore other areas, but once you are comfortable on intermediate trails, the mountain really opens up. We enjoyed many of the blue runs on the Nevada side, such as Galaxy, Dipper Express and Tamarack Express. Sky Canyon takes you up to the top at 10,040 feet from the California side; you can access most of the mountain from there. We found the runs to be a little shorter than at other ski resorts. If you get tired easily, that’s a good thing. Advanced and expert skiers have Mott and Killebrew Canyons to the Nevada side, and plenty of challenging runs sprinkled throughout the mountain. Experts have many choices at the California Lodge, as well. If you have a terrain park fan, or young “jibbers,” in your group, Groove Park is best for beginners looking to progress in skill level. The newest park is Re-Mix with medium level jumps and obstacles. Both parks are on the California side of the resort. In the afternoons, keep an eye on lift closing time. A few of the more remote lifts on the Nevada side close early, so you’ll want to be up and out of there before then. Getting “home” to your base can be tricky. When getting back to the top of the gondola, you can access that area from the Big Dipper lift by taking the California Trail. You can split off at Sam’s Dream, Cascade or the Tamarack Return to get there. If you miss these turnoffs, you’ll have to take the Sky Express lift up and try again (Yep. Been there, done that — those lake views are so distracting that it’s easy to miss the signs!). Another option is to take the Comet Express lift: Take Comet to Von Schmidt (traverse alert) to the gondola area. Getting back to the California Lodge is more challenging for less experienced skiers. You can take Maggie’s or Mombo down to the top of the Groove Chair and download to ride down the Gunbarrel Express, or take the Tram down to the base. If you want to ski back to the base, there is an intermediate (but very long and narrow) traversing trail called Round-A-Bout that weaves past difficult and expert terrain. Save some energy for that ride home. Besides skiing or snowboarding, what else is going on at Heavenly? 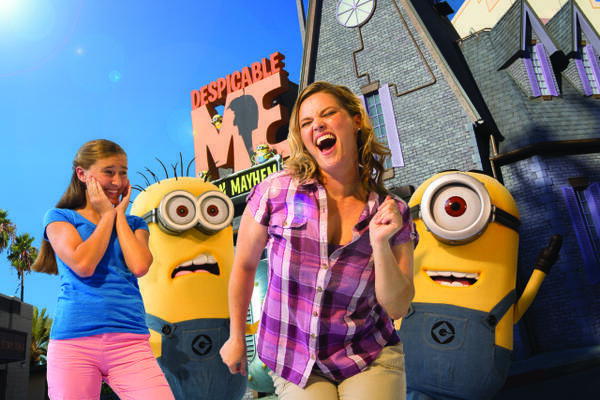 If family fun is what you are after, the village has ice skating, a bungee trampoline and many kid-friendly shops such as toy stores and crazy sock shops. You can listen to live music, take an old time photo or doob yourselves (make 3-D models of your family). Buy an inexpensive plastic sled pretty much anywhere and walk down the street to the snow play area behind the village to play for free. As we mentioned earlier, up at Adventure Peak you can go snow tubing from 11 a.m. to 4 p.m. On weekends it sells out, so be sure to buy an all-day pass early in the morning at the ticket window by the gondola base. You need to take the gondola there, and if you do not have a lift ticket, that ride will cost you. The price is about $61 per adult and $37 for ages 5 to 12 on top of tubing costs. There is one scenic stop on the way up if you want to get out and take pictures of the lake and view. You cannot see the lake from Adventure Peak or Tamarack Lodge, and the gondola does not stop on the way down, so if you are taking a scenic ride, step out for photos on the way up. The Loft in the village has magic shows that are appropriate for all ages. Play corn hole with the kids outside the Base Camp Pizza Co. while you wait for your pie. 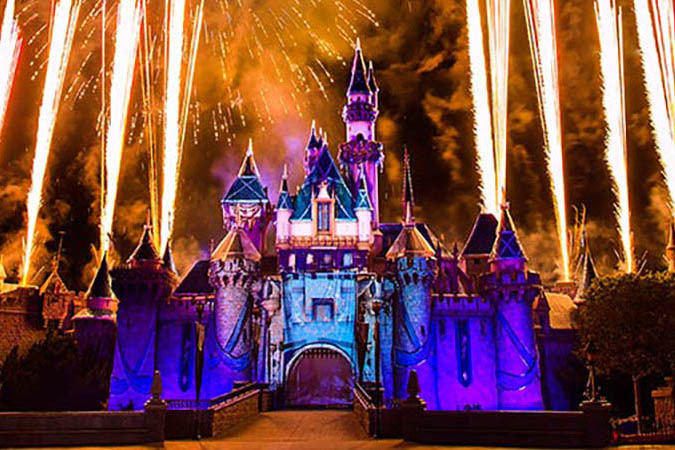 If you are visiting during holiday season, there is a two-week festival in the Heavenly Village with Santa, sleigh rides, ice sculpting, performers, concerts, and on New Year's Eve, fireworks make for a dazzling backdrop. Whenever you visit, be sure to check the events calendar for Heavenly and perhaps your place of lodging so you don’t miss out on any fun. Get a locker in the village. If you are not staying near the village but want to enjoy it après ski, get a locker near the gondola to store your shoes or snow boots. You’ll be happy to take those ski boots off to walk around and stash extra layers if things heat up. Get a locker at Adventure Peak. If you want to tube during the afternoon or ski day, store your shoes or snow boots in a locker near the top of the gondola for a quick change so you can enjoy Adventure Peak without having to ride down the gondola to change footwear. Bring snacks or meals on the mountain with you to save money and time. Purchase tubing at the ticket office early in the day before it sells out. Go to Adventure Peak on a day you have a lift ticket to avoid paying the steep (see what we did there?) gondola fee. Take a camera for phenomenal views of the lake from ski runs and the tops of ski lifts. Find free feminine products in the restrooms, because sometimes emergencies happen at altitude — Heavenly has you covered. 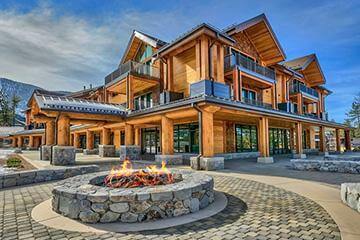 Take advantage of the free charging station at Tamarack Lodge. Text “Heavenly” to 99000 before your journey to receive the latest weather, snow and operational updates. Take a much-needed dip in a hot tub with a view around sunset. Hopefully you’ve found this insider’s guide to Heavenly Ski Resort hopful. When you arrive at Heavenly with an idea of where to go and what to expect, you can hop right to it and start having fun, ideally with a little extra green in your pocket from saving money on lodging, lift tickets, rentals and other travel expenses.